Home METRO Minimum wage proposal provocative as FG is silent on the issue - NLC. 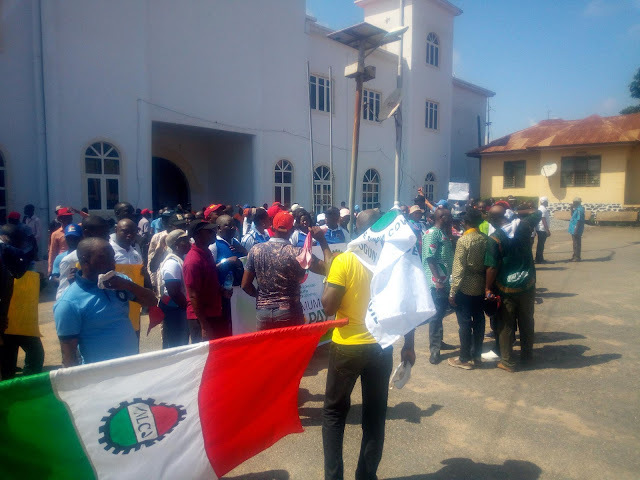 Minimum wage proposal provocative as FG is silent on the issue - NLC. Peter Ozo-Eson, General Secretary of the union, in a chat with newsmen said members of the union were becoming restless with the way the government had handled the issue, adding that unless government acted fast, the union might meet again to review government's position and take necessary action to press home its demand. “If the delay continues, our next step will be made public after we meet again to review the steps taken so far".